Summary: Sixth-grader Isabella has a lot on her plate: her parents are divorced, and both get engaged to be remarried in the span of a few weeks. Her mom is white and her dad is black, and Isabella has friends of different races. 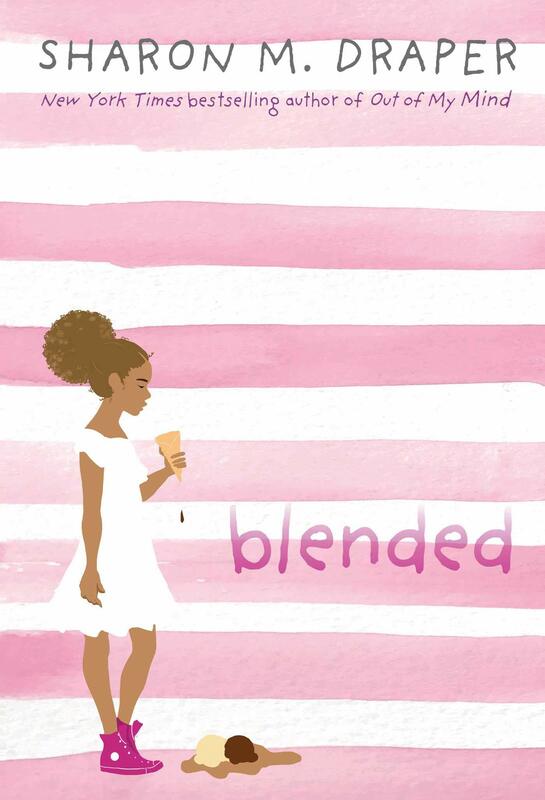 But when one of her friends is the victim of racist bullying, Isabella begins to feel like she has to choose sides. Throughout the story, Isabella, a talented piantist, is preparing for a big recital. A horrifying racially-charged incident on the way to that event derails her performance but leads to a reconciliation of sorts between the two sides of her family. There are no easy answers, but Isabella emerges from the difficulties with a greater confidence borne of a greater sense of who she is. 320 pages; grades 4-7. Pros: Readers will connect with Isabella as she explores questions of how she fits into her world and deals with family difficulties that will undoubtedly be familiar to many. The short chapters (all entitled “Mom’s Week”, “Dad’s Week”, or “Exchange Day” and Isabella’s honest voice will draw kids in right away. Cons: Isabella’s older stepbrother Darren was just a little too perfect to be true.